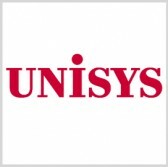 A Unisys-led consortium in Belgium has received two four-year contracts worth $53 million combined to support the European Agency for the Operational Management of Large-Scale IT Systems in the Area of Freedom, Security and Justice. The company said Thursday its Consortium U2 subsidiary and partner Uni Systems will provide IT services in support of eu-LISA’s border management, asylum management and internal security programs. Consortium members will also provide IT consulting services and project management support in Belgium, Estonia and France, Unisys added. “We’re looking forward to working with eu-LISA to provide the resources and equipment it needs to manage borders and increase data security across Europe,” said Mark Forman, global public sector head at Unisys. Consortium U2’s contracts cover IT support at eu-LISA offices in France and Belgium.